“Boston’’ traces the marathon’s history from its origins in 1897 through 2014. When “Boston,” a feature-length documentary about the nation’s oldest marathon, makes its world premiere April 15 at the Boch Center’s Wang Theatre, the Boston Pops Esplanade Orchestra will perform the full score live. But first, members of the Boston Symphony Orchestra will record Jeff Beal’s score for the film at Symphony Hall on Feb. 13. (Sorry, the recording session isn’t open to the public.) Beal, an Emmy-winning composer known for his soundtrack to the Netflix drama “House of Cards,” will conduct the recording and then the performance at the Wang. The premiere, scheduled for One Boston Day, will be sponsored by John Hancock Financial and hosted by WBZ-TV. Directed by Jon Dunham, the documentary traces the Boston Marathon’s history from its origins in 1897 through 2014, incorporating extensive archival material from the Boston Athletic Association. A percentage of premiere ticket sales will go to support Martin’s Park, a playground in the Seaport District to be built in honor of Marathon bombing victim Martin Richard, who was 8 years old when he was killed. “This has been an incredibly special film to make,” said Dunham in a statement. “I am honored to have been entrusted with telling this epic story.” Mayor Martin Walsh also extended his support. 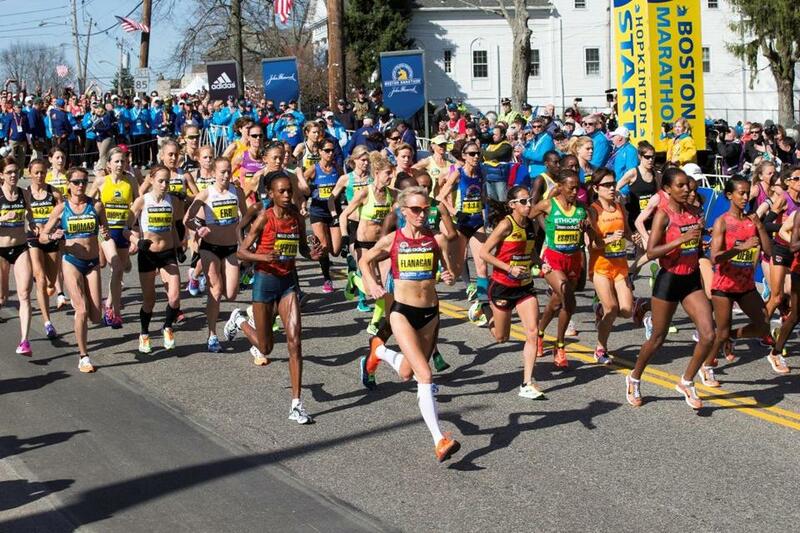 “The Boston Marathon is like no other event in the world, and to have its history captured through this type of exclusive documentary is extraordinary,” Walsh said in a statement. This will be only the fourth movie soundtrack the BSO has recorded in Symphony Hall, and the second not by Boston Pops laureate conductor John Williams. The BSO is unable to play at the Wang premiere because of a previously scheduled Symphony Hall concert. Tickets for the premiere will be available on Feb. 4 at 10 a.m. at 800-982-2787, www.bochcenter.org, and the Boch Center box office. BOSTON 60 Second Teaser Trailer from Jon Dunham on Vimeo.